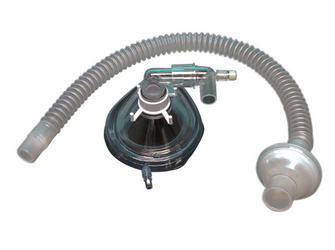 In addition to the patient comfort provided by the soft pliable air cushion of the disposable face mask, the 90° elbow injection port reduces patient anxiety allowing xenon administration from either the right or left side. The dual administration port feature also allows administration with either luer lock or needled connections. 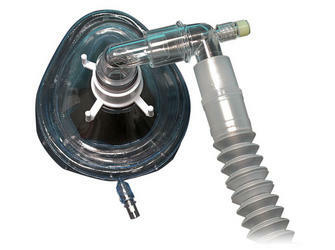 Convenience kit includes bacteria filter, ultra-flex tubing, elbow and 90° dual administration port.